Are you ready to head out on the town for a night of roulette fun? Read this strategic guide to increase your odds before you hit the tables. Are you into roulette? Even if you’re not a big fan yet, this game is worth checking out. It’s one of the most exciting games at the casino — if you know how to increase your odds, that is. However, it’s not impossible to up your chances of winning. In truth, the only way to win consistently is with advantage play methods. But this article explains some of the basics of roulette for new players. 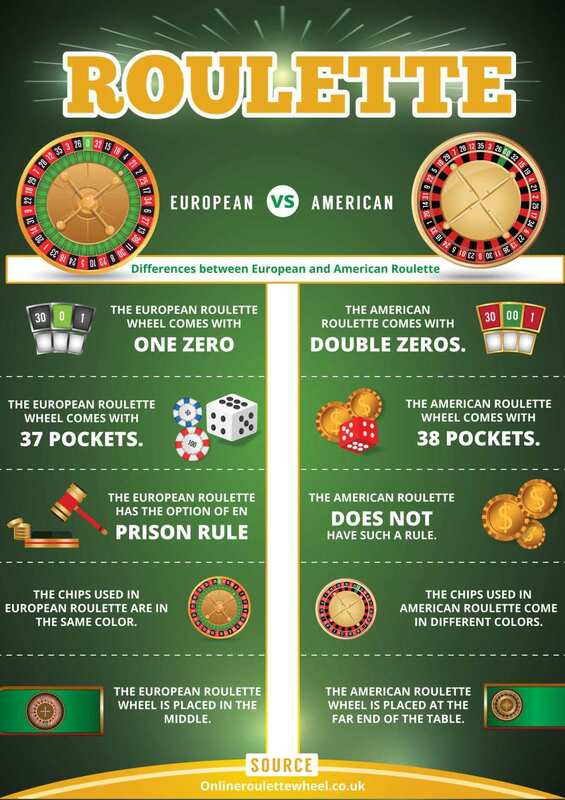 If you want to get serious about playing roulette, you need to know the differences between European and American roulette. Start with the basics. First, you must be aware of the different games out there. 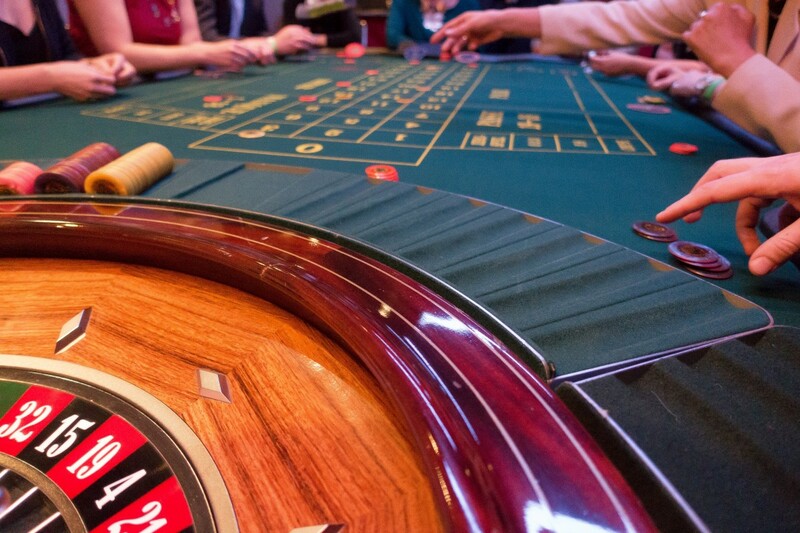 There are three main types of roulette, and each one has its merits and drawbacks. 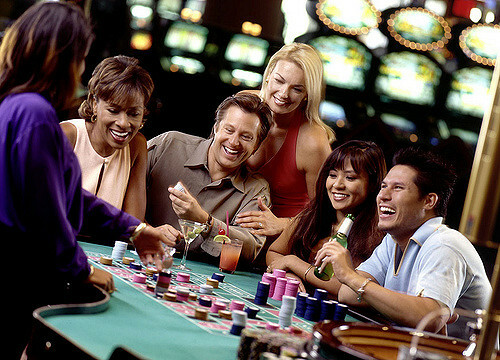 European roulette is by far the most popular, and many consider it to be the “classic” style of roulette. In this game, the wheel has 36 number fields and a single field of zero. That makes the house edge a relatively small 2.7 percent. French roulette uses the same wheel, but it incorporates different rules: the concept of le partage and en prison. Players can activate these rules when the ball lands on the zero field and they have placed the even-money outside bet. With en prison, the player may choose to respin the wheel. If the player wins, they win back the whole bet. If they lose, they lose it all. If they choose to utilize le partage, they can take back half of the money on the bet they placed. Many people choose to play French roulette because it offers the best odds — the house edge is a mere 1.36 percent. The game with the worst odds is American roulette. This wheel also has 36 numbers. However, instead of only one zero field, it incorporates another double zero field on top of that. That gives it 38 fields, decreasing your odds and giving the house an edge of 5.26 percent. So, when you’re stepping up to the table, always beware of the house edge and which type of wheel you’re spinning. Before you step up to the table and start laying your chips down, it’s a good idea to observe beforehand. That way, you’ll gather valuable information and get a feel for the table. When you decide to take the plunge and head out to a casino, don’t step up to the table and begin placing bets immediately. First, you need to watch for a while. Observe the table and take it all in. What’s the minimum bet? What is the maximum bet limit? Which strategies do the other players seem to employ? Remember, roulette moves fast — on average, the wheel makes 45 spins per hour. Learning critical information that affects your betting and bankroll management strategy before you hop right in is imperative. Go in with all the knowledge you can get so that you don’t make wild bets because you feel hurried or rushed. When you decide to go in, always follow proper roulette etiquette. That doesn’t increase your odds of winning, but it does make the table more enjoyable for yourself and other players. That’s also a good thing for the casino, as people tend to bet more when they’re having fun. When utilizing a roulette strategy, you need to know your odds — check out this short course on the mathematics of roulette and learn which types of bets are the best. If you want to be successful in roulette, you must put a little order into your game. After all, the odds of you striking it rich are low. However, you can increase them by employing a well-thought-out roulette strategy when spinning the great red wheel. It could help you out more than you think in the long run. Indeed, when used correctly, the proper strategy can help you achieve consistent wins and keep you playing for longer. You can begin with a basic strategy like the Martingale system or the Paroli system, but understand they will eventually lose. You can only consistently win if you overcome the house edge. With the Martingale, the concept is quite simple: you double your bet on a loss and keep it the same on a win. That way, theoretically, you can make all your money back plus a percentage when you do win. That would be a foolproof system if you had unlimited money to bet with and the casino had no cap on how much money you could bet. Unfortunately, you probably don’t have unlimited money to place a bet. And most casinos have bet limits to foil strategists like yourself who are hoping to employ this system. Does that mean you should never use the Martingale system? Not necessarily. It does, however, mean you must be smart about it. If you’re planning on using it, you must be extra careful with your bankroll management. Namely, you must seek out tables that have a low limit, and you must stick to your limit as well. Roulette is a quick game, and you want to make it last as long as possible. The Paroli system is the reverse of the Martingale where you increase your bet on a win. This strategy theorizes that a win shall follow a win. The reality is that sometimes it works and sometimes it doesn’t. However, once you have your initial win, you’ve already increased your bankroll by the wagered amount. That means you can play around with that money, doubling your bet and hoping for the next win. The trick with this system is to get out while you can, i.e., when you’ve increased your bankroll enough to consider the night a victory. As a result, the Paroli system is generally less stressful than the Martingale and incurs less devastation when you do lose. If you want to increase your odds at the roulette table, it’s imperative to manage your bankroll correctly and keep an eye on your wallet at all times. Because your bankroll plays such an integral part in your betting strategy, it’s vital to manage it correctly. Firstly, you need to have a limit. Put a cap on how much you plan to spend one night, and don’t go beyond it. Think of the money in your gambling bankroll as playing money. 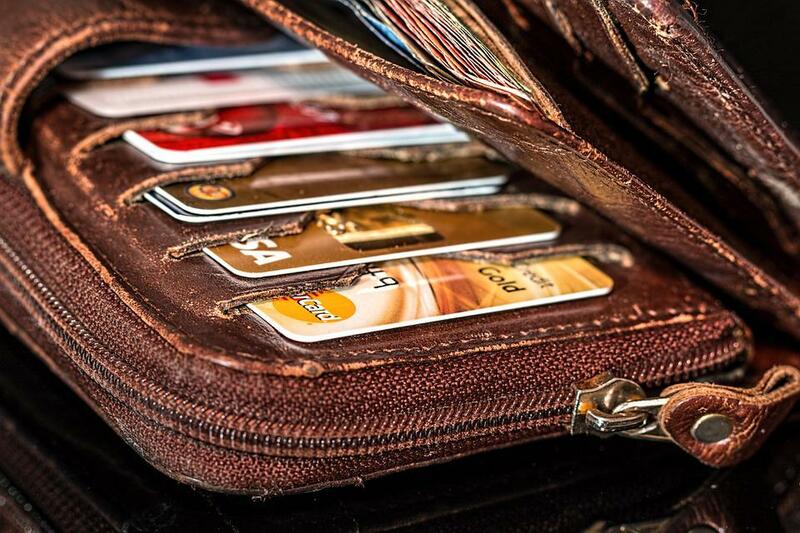 Set it aside from your other money, which you should think of as real-life money that you cannot afford to lose. That mindset will decrease your odds of making irresponsible wagers to chase a win. So, if you prepare yourself to lose all your playing money, you won’t start betting your real money — which is where problems arise. The next step is to set betting limits for yourself. These limits dictate the maximum amount of money you can bet on any one game or spin. So, don’t allow yourself to bet outside your betting limit. The limit increases your odds of winning by prolonging the time you play and the number of bets you’re making. Even if those bets are small, there are more of them. That increases your chances for a win. As you can see, roulette is a game of chance, but that doesn’t mean you have to go in blind. There are several ways to extend your playing time and increase your odds of winning, and you should utilize all of them to get the maximum effect. But above all else, the crucial thing to remember when stepping up to the wheel is to play smart and have fun. If you intend to play on a more serious level, then you need to employ methods that determine where the ball will land, with greater than random accuracy. This is exactly what advantage play methods do. Can You Play Online Casino Games in Norway?